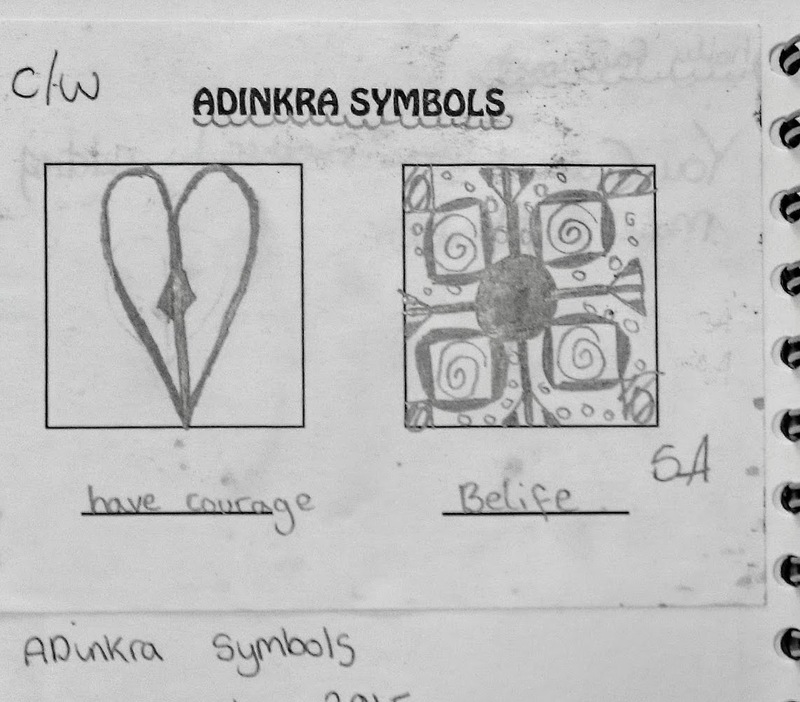 My Year 7 pupils have been looking at African Adinkra Symbols and using them as inspiration to create their own. 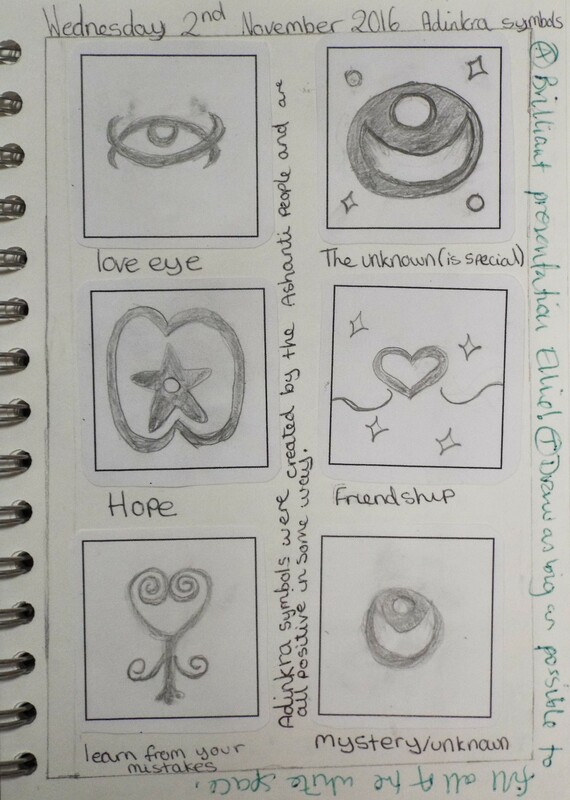 They looked at the symbols, drew them out and then drew three of their own. They focused on filling the space, using a range of thick and thin lines and creating symmetry. Here are some examples of the pupils’ work. They researched the symbols for homework and added facts about them on their sketchbook pages. 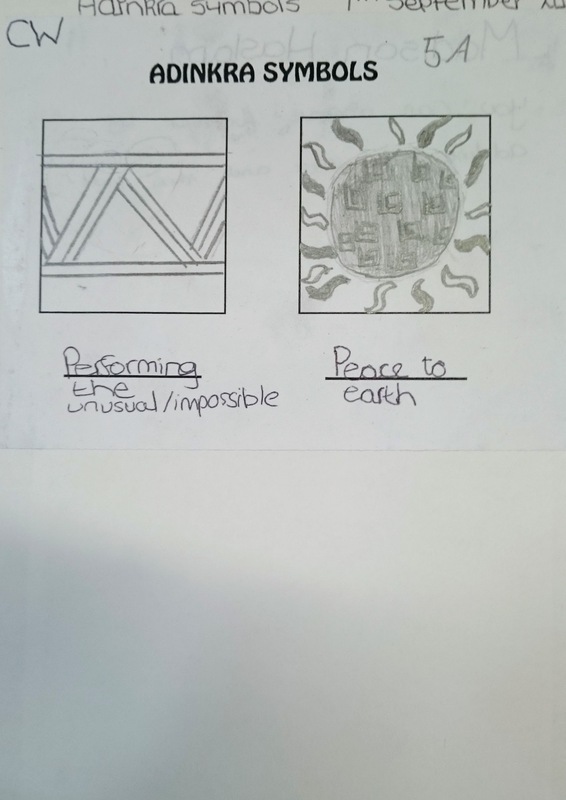 Pupils then developed their ideas and drew out their design bigger, thinking of a colour scheme and aiming to have equal amounts of each colour. Next I showed pupils how to copy out their design onto polyboard, pushing in the areas that they did not want to show up. Pupils drew theirs out, then did a sample print in their books. Their aim was to cover the board evenly with ink, press down firmly when printing and make sure they get the corners and edges of the board. Pupils reflected on their test print and wrote out a target for improvement. Some needed to push down more areas on their polyboard, others needed to add more (or use less) ink. 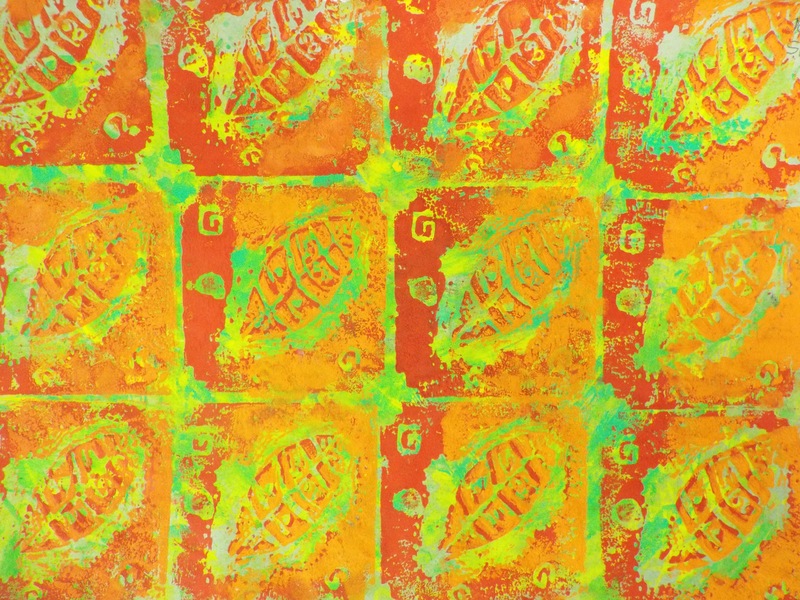 Pupils then decorated the backgrounds that their prints would go over. We looked at the artist Jane Davies for inspiration, and used a range of materials such as sponges, straws, forks, spatulas etc. Pupils worked in their chosen colour scheme. 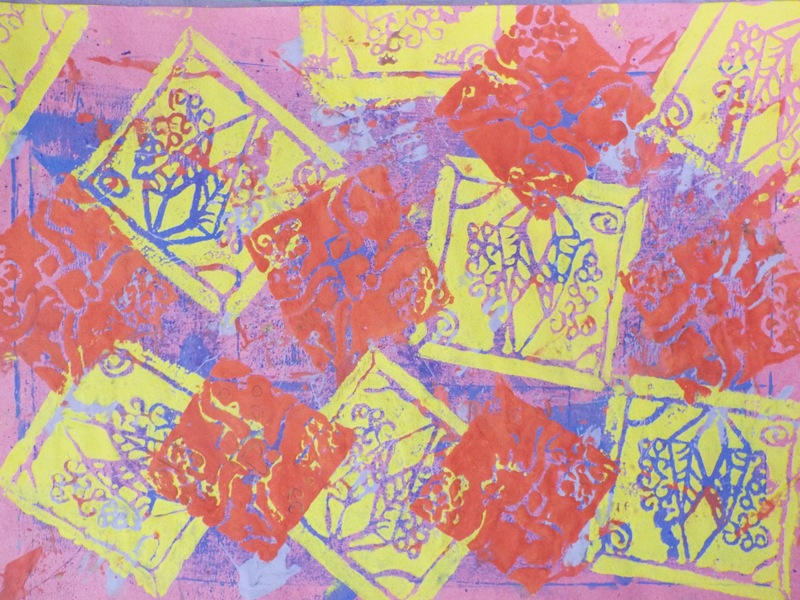 After their backgrounds were decorated, pupils started to print. They could choose a formal or informal design for their placement. 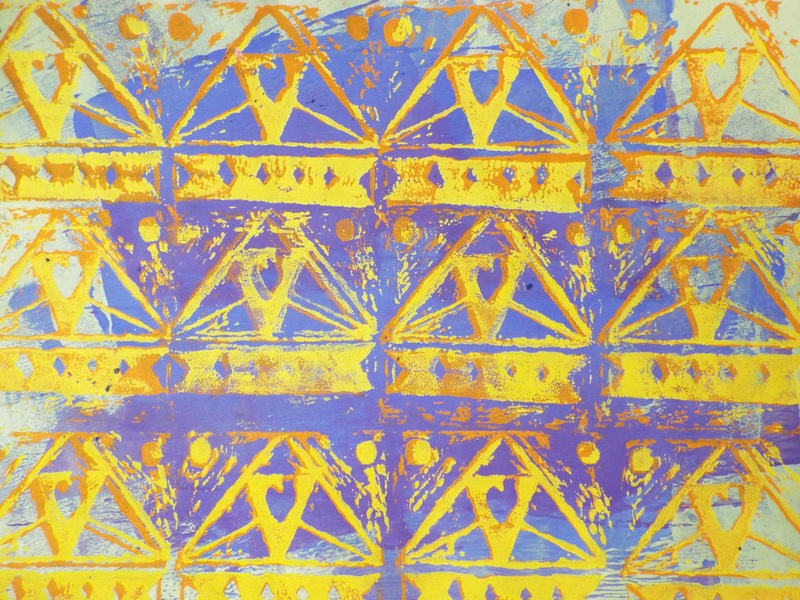 They completed their first layer of prints then we looked at techniques for adding a second layer of colour. 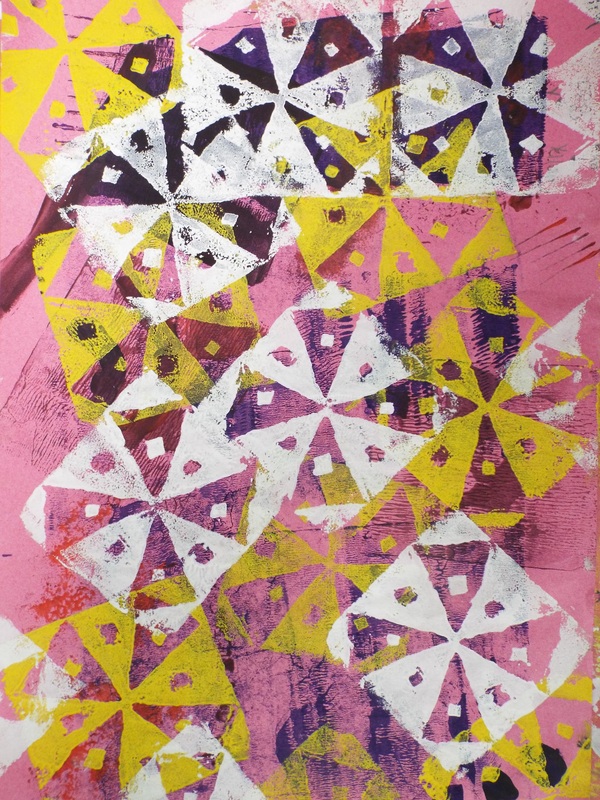 Pupils then chose how they would like to add another layer of print, using either the off-setting, printing in spaces or partly inking up the block techniques. We repeated this whole process twice so pupils had two final pieces. They made their second one to show how they had improved from their first attempt. Here are some of the outcomes, what do you think? Let me know in the comments!